This page contains some info and data about my FT-1000 Mark 5 Field transceiver. The tones are generated by my (old) Thinkpad 560x laptop computer through the sound card and my Tone Generator program (Link 2), driving the Packet input of the transceiver. The carrier frequency was set to 28.6 MHz. It is down by almost 60dB from the modulation, good! 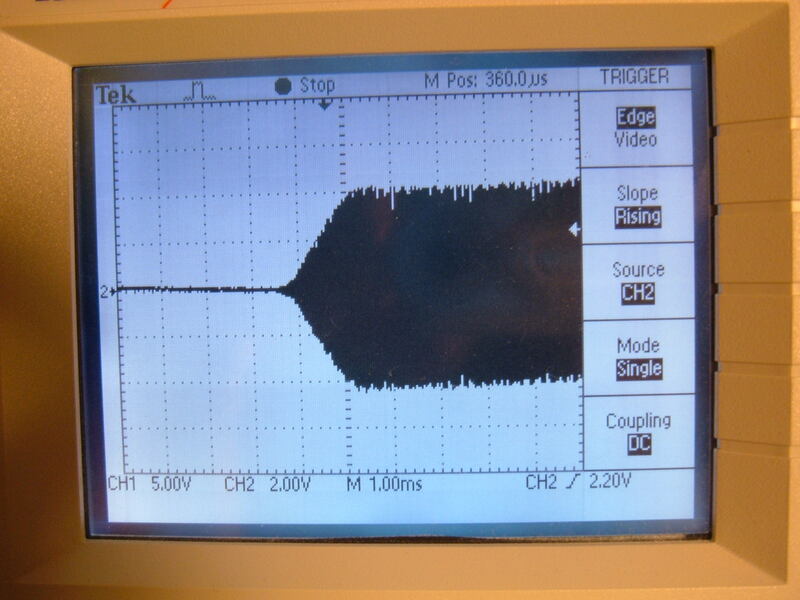 The frequency is in MHz (that's what my program is designed to output..) But in fact the plot is from 500 Hz to 2.5 kHz. I will try to redo it later with a nicer scale. The sound card generates very low intermodulation products (-60 dBc or better), which is quite unexpected, but it also generates fairly high harmonics of the audio frequencies, which are only about -25 to -30 dBc. I did not try different output levels to see the effect on harmonic levels. 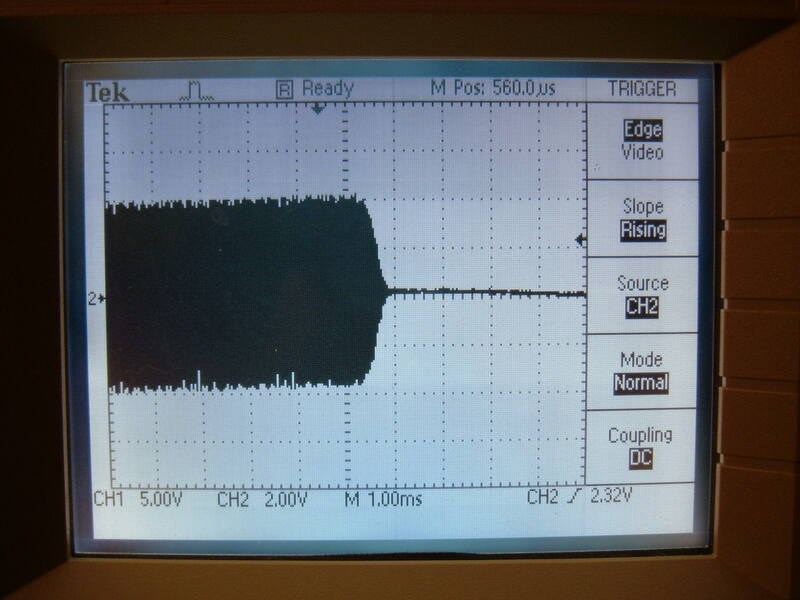 The output level from the sound card when the plot was made was about -10 dBm, as can be seen on the plot. The FT-1000 was set in the Packet mode (LSB) which is the default for RTTY and PSK31 also, so the spectrum is inverted. The harmonics from the sound card go through the filter of the FT-1000 quite well, which explains why higher frequencies are used for RTTY. If I had used 2 kHz and 2.2 kHz tones, the harmonics would have been at 4 kHz and above, outside the SSB filter bandwidth. Even the 3rd harmonics are quite visible on that plot, but they were not plotted in the sound card output (I need to redo that plot). The 3rd order intermodulation products from the FT-1000 are at about -30dBc, which is not too bad. This is the ON click. This is the OFF click. The transitions are way too fast, the ON transition is about 1mS, and the OFF transition is only about 300 uS. The recommended transition time for smooth CW is 3 to 5 mS.